Please join us as we welcome the warm spring weather and celebrate the completion of our newly remodeled patio with a pizza party, paired with your favorite Paso Robles Series wines! Enjoy your choice of a 7" personal Margherita or Prosciutto pizza, served with a freshly-tossed gourmet salad and our famous gelato. The meal will also be complemented by a glass of 2017 Paso Robles Rosé, 2017 Paso Robles Sauvignon Blanc, 2015 Paso Robles Cabernet Sauvignon, or our 2015 Paso Robles Petite Sirah. Tickets are $15 for La Famiglia members or $20 for non-members. 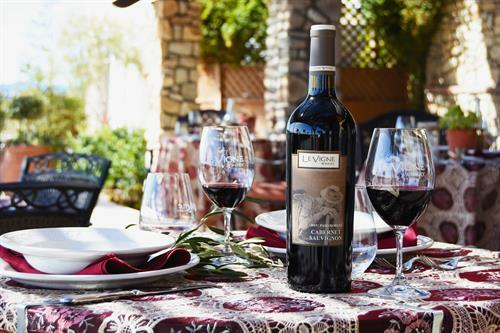 Guarantee your spot by purchasing tickets through our web shop, calling Savannah at (805) 227-4000, or emailing s.romero@levignewinery.com.